What is a LED Backpack? Is it Useful for Mountain Bikers? 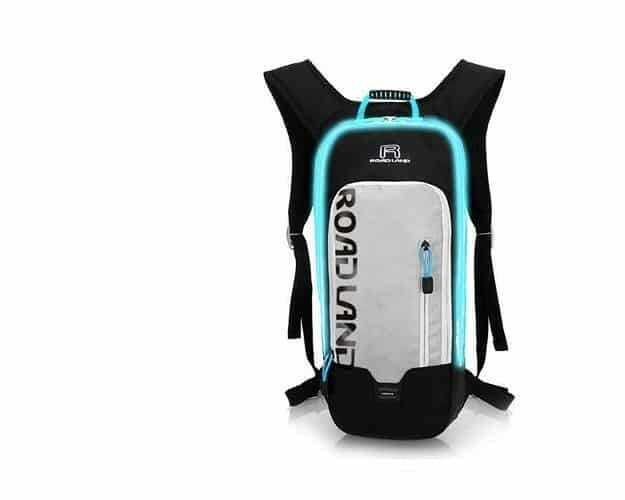 Home » What is a LED Backpack? Is it Useful for Mountain Bikers? Mountain biking is all about exploring wild and challenging terrains while getting in touch with mother Nature. But this doesn’t mean that you can’t benefit from the latest technologies introduced to the world of mountain biking gear and equipment. A LED backpack can be one of your essential equipment if you are planing camping at night somewhere. An LED backpack will do the basic job of storage but will also excel by lighting up the interior space. This backpack features a bright LED light that you can use in the dark to look for every tool you need when you are on your own. You don’t have to pause your trip, spill the contents of your pack out or dig through until you find what you need. This light will conveniently show you everything you have inside the pack. If you really want to keep going, then you are better off with a backpack that will provide easy and reliable access without having to stop. Thanks to the LED light, you won’t have to get out your torch to find what you are looking for. Wearing this backpack is going to keep you safe on the trail. The light will notify other drivers and cyclists of your presence. You can also make sure that your whole mountain biking gang has the same pack so that you always stay on the track. It is the perfect night backpack for biker who is interested in a nighttime adventure. Are you going to spend the night at a camp? Do you usually trip over your belongings in the dark? Stay safe with this backpack as the interchangeable emblem on the front side makes it noticeable. You will be able to detect the position of your backpack even when it is pitch black. Moreover, it is very stylish thanks to its unique design that no one else offers. You can also personalize this amazing pack by adding a personal logo of your choice. Pick something that speaks your mind, or create a logo for your mountain biking gang. You can rest assured that your LED backpack is always going to be one of its kind. Staying in control is one of the best features that this backpack offers. You can easily control the LED light using a reliable and portable remote control. This can be easily accessed by placing it in the shoulder strap pocket or you can install it to your handlebar using a universal mount. Your LED light will work only and if you want to. Why don’t take a step towards the future and invest in a unique and stylish backpack? This is not an ordinary or low-quality pack that is used only once. It is very well made and can be used by everyone in the family. Ordering yours not only guarantees access to well-made and versatile backpacks but also that the manufacturers will be able to work on providing you with a better design. It is the backpack of the future. 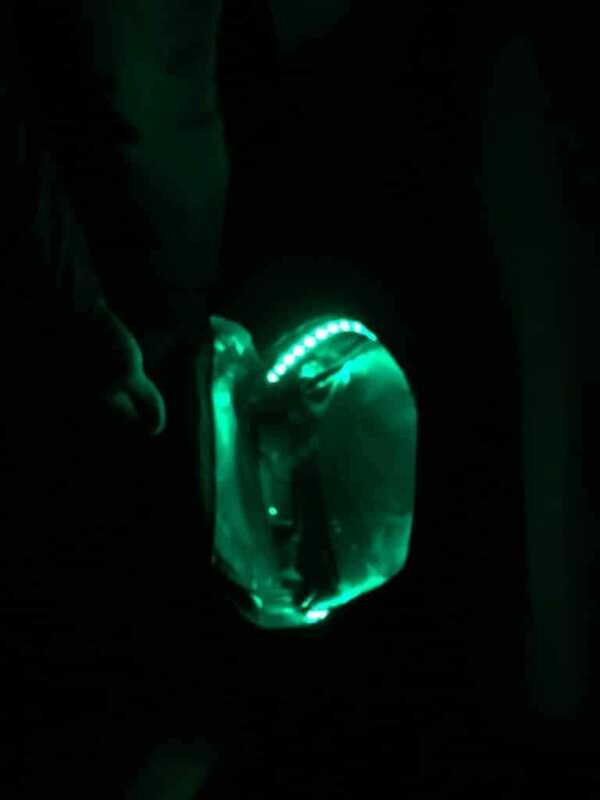 A crowd funding campaign is going on the Kickstarter for this LED Backpack. Hope you will have time to take a look and if possible fund this campaign. What is a hybrid bike? Why you need to buy one?